Branded dining and decorating items make excellent customised marketing products. Choosing these promotional products is a smart strategy as they are usually on display all the time, exposing your brand continuously. 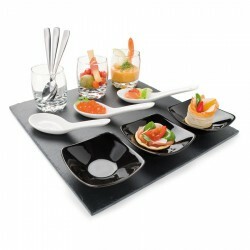 ACE has a great range of custom dining and decorating products including flexi PVC vases and bouche sets. Items can be printed with your brand name or logo which is guaranteed to maximise brand exposure. Perfect as executive gifts or promotional giveaways to customers. Soft PVC shatterproof vase in white envelope.The ideal replacement for expensive fragile glass vases. Posts at standard letter rate. Forms vase shape when water added. Great for hospitals, florists, real estate agencies, conference centres, restaurants, hotels and as an innovative mailing piece. 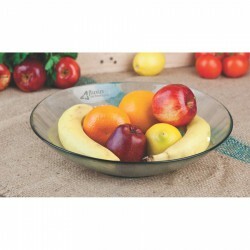 Madrid Bowl, as the name implies, is made in Spain. The use of 100% recycled glass together with a special manufacturing technique results in a solid, rustic look. This bowl is hand made with no two being exactly the same adding to the unique attractiveness of this gift. Each bowl is packed in a recycled gift box.